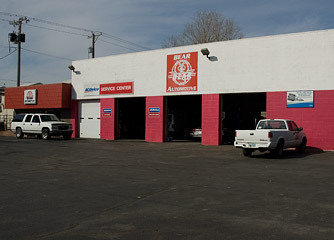 Home > Categories > Automotive > Auto Repair & Service > Bear Automotive Inc.
1126 E. 17th St. N.
Bear Automotive and Alignment Service has over 55 years of service providing the fix for you automotive needs. Cars, trucks, foreign or domestic we service it all. We sell and install new GM and Ford engines and transmissions. Stop by for your automotive repair needs and ask for Gary Brewer.